Artist Unknown…but one of our favorites! Every Day is Independence Day in Independence, Missouri! 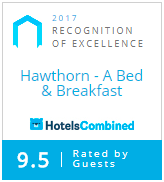 Happy New Year from Hawthorn, A Bed and Breakfast! Anticipation and yet another flower bed….